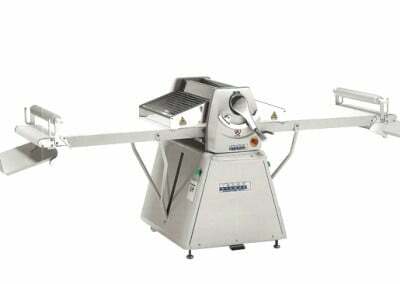 Table top, manual and automatic reversible sheeters perfect for a wide variety of dough! 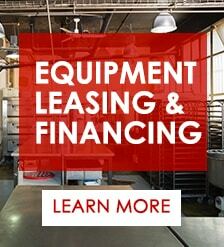 Tekno Stamap is a leading manufacturer of dough and pastry sheeters. 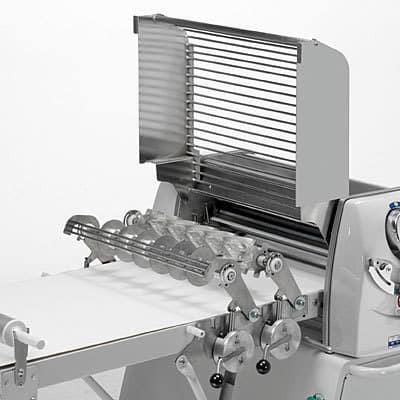 The Lam line of Reversible Pastry Sheeters is perfect for bakeries and restaurants with limited space. 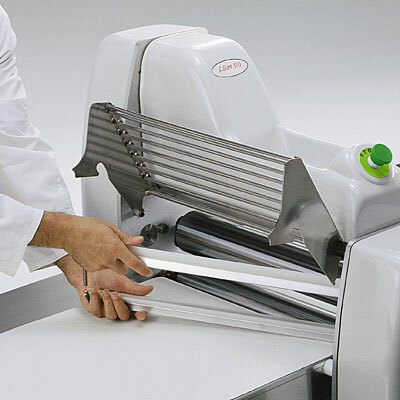 In addition, the LAM line of pastry sheeters is easy to clean and service with completely removable dough scrapers. When not in use both sides of the conveyor table fold up for storage. 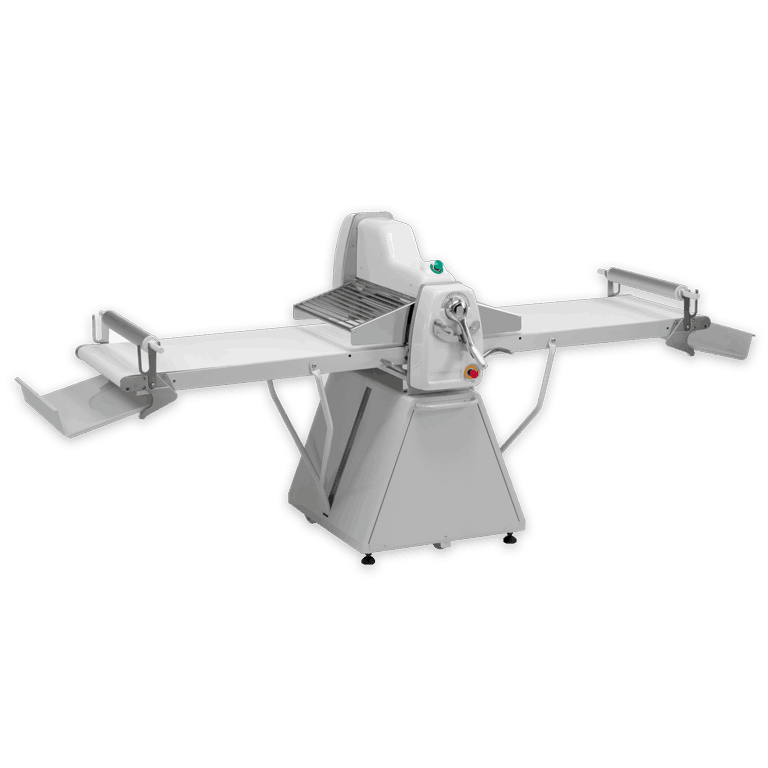 This versatile machine can also be coupled with an available cutting station model.  Suitable for a wide variety of doughs including: puffed, croissant, biscuit, doughnut, shortdough, Phyllo (Filo). 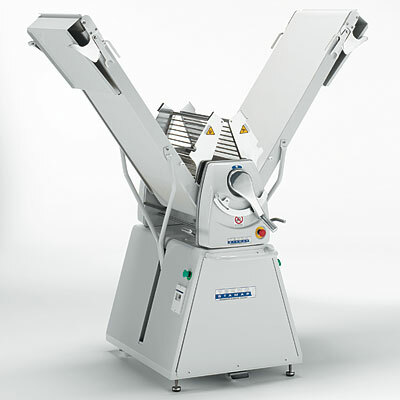 This machine features a space saving footprint designed to fit in most environments. 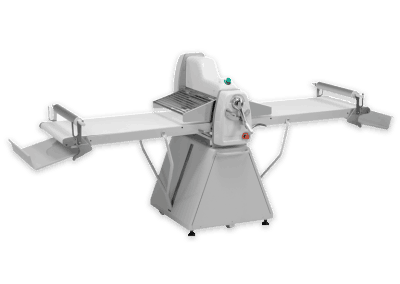 In addition, both sides of the conveyor belt fold up when not in use for maximum storage. 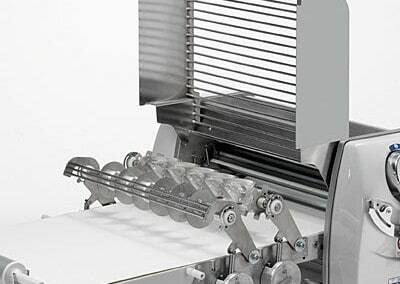 Easy to remove polyethylene scrapers and conveyor belt made of synthetic material for easy cleaning. 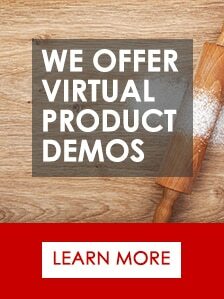 Rolling pins with mounted supports are standard. 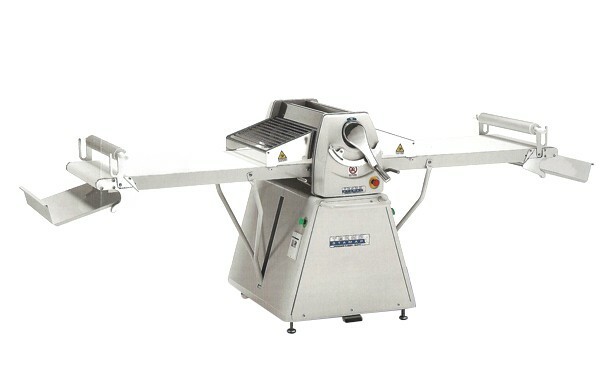 This bench pastry sheeter is reversible, enabling the operator to process dough in both direction saving both time and operator strain. 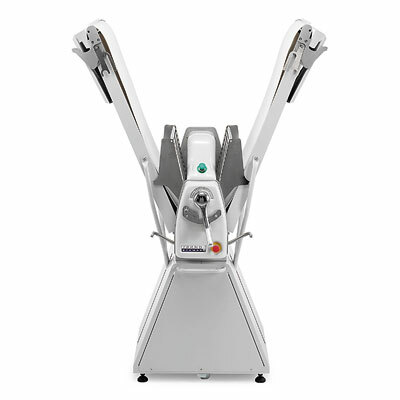 Quick and easy one person setup, with ergonomic handles reduce operator strain. Safety guard surrounds the area where dough is processed for added safety. L x W: 42.28 x 136.22 in. L x W: 42.28 x 49.21 in. L X W: 55.12 x 23.62 in. L x W: 55.12 x 55.12 in. L x W: 130.59 x 43.62 in. Aperture: 0 – 2.16 in.